That’s where pet insurance comes in. Just as human health insurance is meant to bridge the gap between cost and needed health care, pet insurance can ease the financial burden of unexpected illness or injury in our pets. But is it worth it? There’s a lot of chatter on the internet about whether or not pet insurance is “worth it”. The bottom line is, it’s an individual decision based on your own financial situation, your view on paying for treatment of major illness for your pet, and the value you place on security and peace of mind. Different from a preventive care plan, pet insurance is really designed to help pet owners meet the cost of unexpected accidents and injuries and major illnesses. There are some plans that also offer coverage for wellness care, such as exams, vaccinations, and dental cleanings. However, the monthly cost of those plans will be higher than an accident and illness plan. Most pet insurance companies expect pet owners to pay for veterinary services up front and then submit the bills to them for reimbursement. 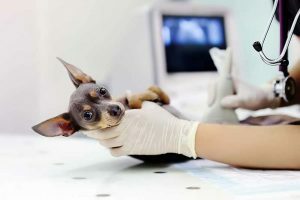 For this reason, many people with pet insurance also choose to have a Care Credit account, which can allow payment up front of large expenses. Unlike in human health care, there is no preferred network of providers, so you can rest assured that your pet can be seen by any veterinarian she needs – including the emergency clinic. You also want to consider online reviews of each company and their customer service. Give your top three companies a call to ask your questions. If the company can’t answer those questions, move on. The sooner you sign your pet up for pet insurance, the less expensive the monthly premiums will be. No pet insurance company covers pre-existing conditions. So it’s cost effective to consider pet insurance for your puppy or kitten, before pre existing conditions can arise. Perhaps the biggest benefit to pet insurance is the peace of mind it can afford you. With pet insurance, you’ll never have to choose between your pet and your wallet. If your pet is critically injured, or is diagnosed with cancer or another major illness, you can focus on what’s important – your pet’s treatment and care – rather than how you will pay for that treatment. This kind of peace of mind can be priceless. If you have more questions about pet insurance, please give us a call. Many of our staff members have pet insurance for their pets, and we can give you our recommendations, too. The Pet Experts are here to help! Previous: Fido to the Rescue: What Does it Take to Become a Service Dog?